Join us for this rare opportunity to see two outstanding artists in one event! Qiang Huang will kick off this event with a painting demo from 11 am to 1pm. Qiang is a guest artist with the Putney Painters and has painted multiple times with the modern masters of representational art, Richard Schmid and Nancy Guzik. 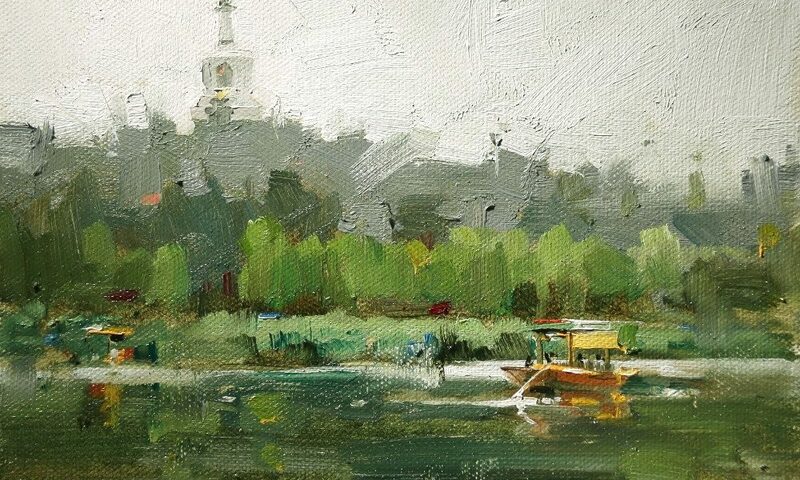 Qiang’s paintings are known for their remarkable accuracy and expressive brush strokes. Qiang is a Signature Member of the Oil Painters of America. He is represented by the InSight Gallery in Fredericksburg, the Capital Fine Art Gallery in Austin, and the Marta Stafford Fine Art Gallery in Marble Falls, Texas. At 1:30 pm, keynote speaker, Joe Paquet, will outline the specifics of finding an authentic vision in today's high paced and very visible world. He will discuss how the Plein Air Experience can help you to achieve a singular and rewarding artistic experience.